Some of the best garden containers aren’t just pots or urns. 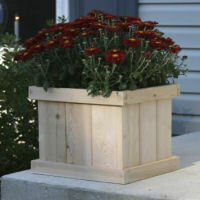 All kinds are available for your container garden plantings. 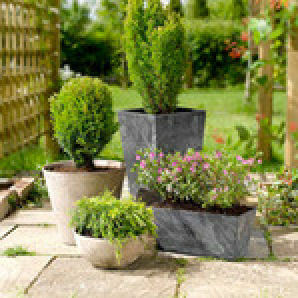 Pots and urns are popular, but boxes, troughs and baskets have lots of advantages, depending on what you are planting and where your containers will be placed. Square containers give roots more room to grow. Wood is a good insulator and holds moisture well. All wood is susceptible to rot. Line with plastic or rubber to cut down on rot, make sure it has good drainage and set up on bricks or blocks to help that. 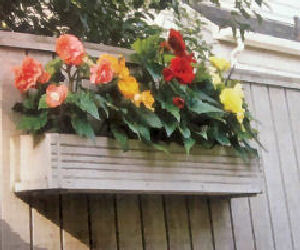 Lightweight plastic boxes are great for areas where weight is a factor – rooftops and balconies. them up to create a wall that separates one outdoor area from another. 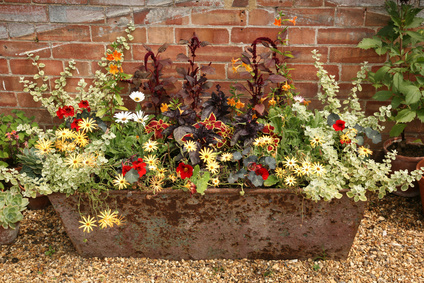 Create a corner, wall or barrier with large troughs or boxes. 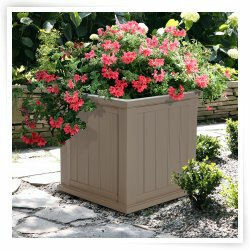 The best garden containers for trees and shrubs are often boxes or troughs. 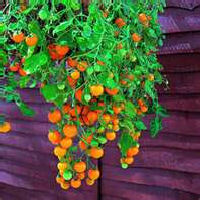 They are ideal for larger plants that have long root systems. 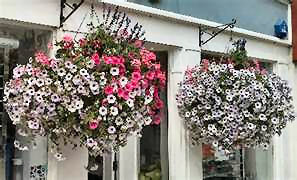 For traditional charm, window boxes are the best garden containers. boxes in a woven style – they look like baskets. 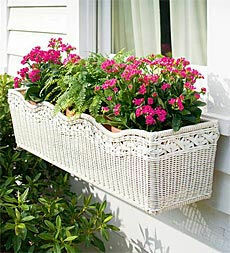 Traditional window boxes are charming, and allow you to enjoy your garden from indoors too. both enjoyment and ease of care. Again, put your gardens up – this time on a rail – saving floor space and making care and watering easier. sure both the liner and the box have adequate drainage. Boxes can be mounted on walls or hung from fences. 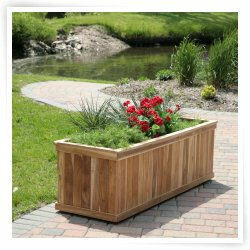 Wall mounted boxes are the best garden containers to use to break up long expanses of wood panels, brick or stone. 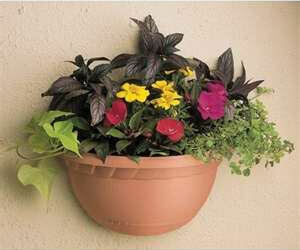 Make sure you use brackets or frames that are sturdy enough to hold soil, plants and water. As with every container, drainage is a must. 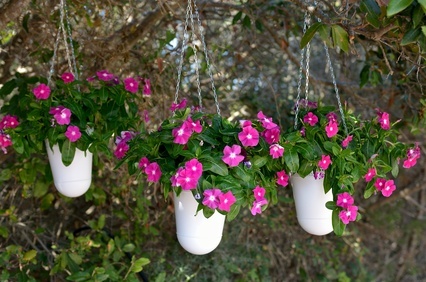 Make sure your hanging gardens are hung from sturdy brackets or hardware. or terraces where heavy containers aren’t practical. 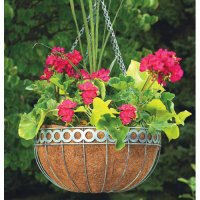 Using baskets for container gardens allows you to hang them from almost anything. eye upward away from the ugly ground beneath the tree. against a trellis to create a wall or screen. 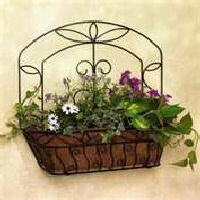 flower bed or in the yard to spruce up a bare spot. 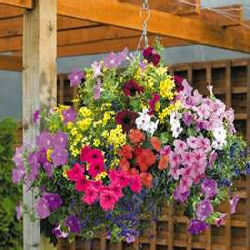 The best garden containers to hang from rafters, rails and balconies need to be lightweight. Baskets fit this bill. will support the weight of the container and its contents, plus water. support the container, soil, plants and water. 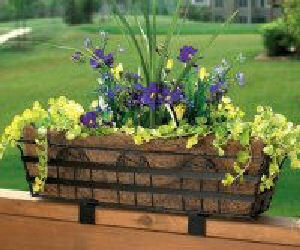 Baskets are one of the best garden containers for herbs and vegetables. Compact herbs like compact thyme, sage, chives and mint work well – as do fruits or vegetables that vine – like strawberries and tomatoes. 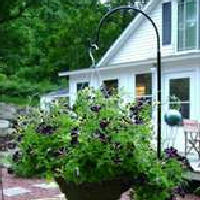 Hang the containers low enough to make it easy to water, feed and harvest. All kinds of colors, sizes and shapes.